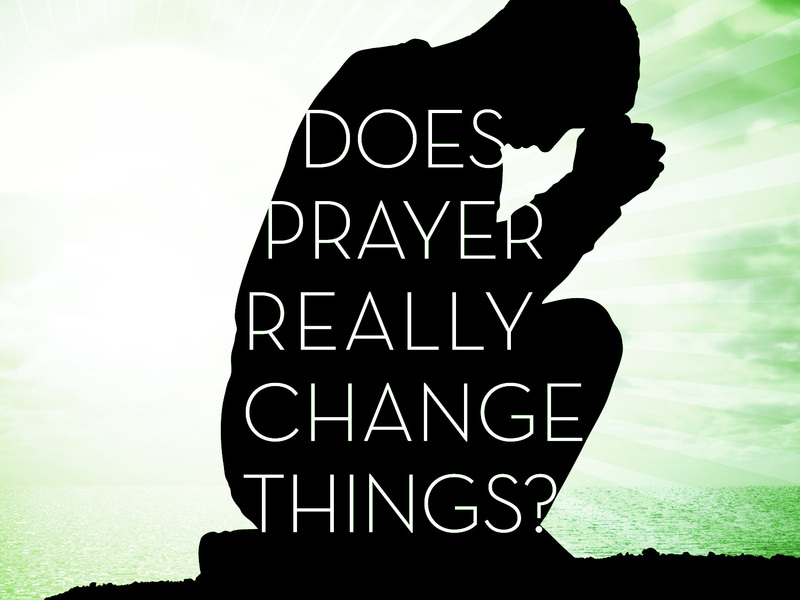 Part 1 of a Bible study series called Does Prayer Really Change Things? Prayer is essential. We will make time for things that are important to us. 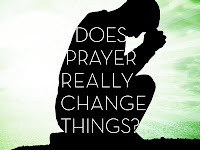 When we don't make time for prayer, we demonstrate that prayer is not our top priority. Prayer is rigorous. Jesus said to His disciples, “Watch and pray that you may not enter into temptation. The spirit is indeed willing, but the flesh is weak” (Matthew 26:41). As Christians, we desire to pray ("the spirit is willing"), but we often don't ("the flesh is weak"). In personal prayer, we speak to God, but in meditative prayer we allow God to speak to us. Eastern meditation is an attempt to empty the mind. Christian meditation is an attempt to fill the mind. With what do we fill our minds? God’s word. “This Book of the Law shall not depart from your mouth, but you shall meditate on it day and night” (Joshua 1:8). “O how I love your law! It is my meditation all the day” (Psalm 119:97). “My eyes are awake before the watches of the night, that I may meditate on your promise” (Psalm 119:148). “I remember the days of old; I meditate on all that you have done; I ponder the work of your hands” (Psalm 143:5). Busyness and distractions are the enemies of meditative prayer. Stillness and solitude are the friends of meditative prayer. Mary “sat at the Lord’s feet and listened to his teaching” (v. 39). Martha “was distracted with much serving” (v. 40). Jesus said, “Martha, Martha, you are anxious and troubled about many things, but one thing is necessary. Mary has chosen the good portion, which will not be taken away from her” (vv. 41-42). Designate a quiet place. Jesus often withdrew to “desolate places” to pray (Luke 5:16). Choose Scripture to prayerfully meditate on. Allow God to speak to you.